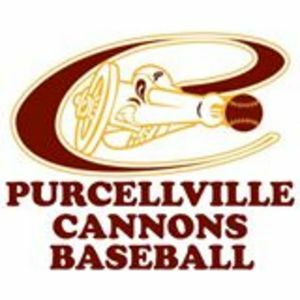 PURCELLVILLE, VIRGINIA-- The Purcellville Cannons are very fond of their new venue this summer. On Saturday night at Fireman's Field, the Cannons defeated the Covington Lumberjacks (15-11) by scoring the last 11 runs of the game in a 12-3 final. The win gave the Cannons their fourth straight victory at home (and 6 out of the last 7) and improved the team's record at Fireman's Field to 9-6 this season. The Cannons broke the game wide open in the bottom of the fifth. Raul Cabrera, Ray Hernandez and Tyler Ratliff drew three consecutive RBI walks with the bases loaded to give Purcellville a 4-3 lead, and they would all come around to score one batter later on DeAndre Amion's bases-clearing double to push the Cannons' lead to four. Covington took a 3-1 lead in the top of the third on a 3-run double by Jason Polgano. All three runs were unearned and charged to Cannons' starter Kevin Fuentes (Santa Fe Community College), who earned a win in his debut over five innings of work. Keeping Covington's offense in nuetral was an impressive performance by the Purcellville bullpen. Right-handers Matt Copley, Matt Kaster and Will Reed combined to strikeout seven batters over the final four innings, while yielding just two base runners. Playing add-on in the 7th, newcomer DeNathan Dukes hit a sacrifice fly to score Matt Reed, then Raul Cabrera followed with an RBI triple to give the Cannons an 11-3 lead. In his first start of the season, Dukes (Norfolk State University) was 1-2 with an RBI, a stolen base and two runs scored. Hernandez capped off the scoring with an RBI single to plate Cabrera, his team-leading 18th run knocked in this season. He, along with Amion and reliever Tyler Yancey will be heading to the All-Star Game in Harrisonburg on Sunday. In additon to the win over the Lumberjacks, the New Market Rebels fell at home to the Waynesboro Generals, 9-5. Meaning the Cannons(11-18) and Rebels (12-19) are deadlocked for the fourth and final playoff spot in the VBL North heading into the All-Star break. After a 2-day break, the Cannons will start the final stretch of their season with back-to-back road affairs; at Winchester on Tuesday and at Harrisonburg on Wednesday. Left-hander Pat Doudican is 1-4 on the year and hopes to improve the Cannons' 2-12 road record this season when he takes the mound against the Winchester Royals (16-13) at Jim Barnett Park on Tuesday. In his last outing, Doudican allowed five earned runs over 3 1/3 innings in a loss to Staunton on June 29th. For the Royals, RHP Christopher Hopkins takes the hill and has been very impressive this season, posting a 3-0 record and a 0.55 ERA. Despite all of his wins coming in relieve appearances, Hopkins (College of Santa Fe) has not allowed a run over a 13-inning span in his two starts this season. The Cannons are 1-1 in two meetings with the Royals this season, winning at home, 10-5, on June 12th and losing on the road, 12-4, on June 24th.